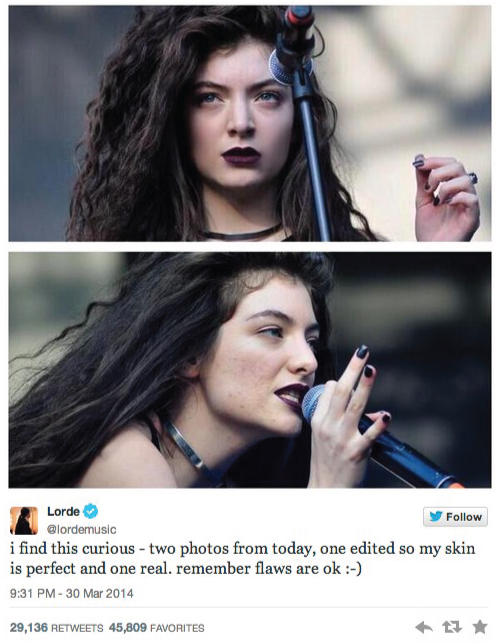 Yes she’s now officially mainstream, but Lorde is still rad. The newest, grittiest pop princess found a photoshopped pic of herself on-line and corrected it. By means of posting the unphotoshopped version. 2 points for honesty. About a million for the text in her Twitter post.